Originally published for the catalogue of a video exhibition “Passages de l’image” that toured Europe and the United States in 1991 and 1992. Also available as ch. 9 in Schefer, Jean-Louis, The Enigmatic Body, ed. and trans. Paul Smith, Cambridge Univ. Press, 1995. So it’s a science-fictional hypothesis that underpins the organization of this film and, with particular emphases (the distance of the narrator, the modesty of the novelist), regulates the metaphysical problems that are then rapidly elaborated into a science-fictional argument in such a way as to render the paradoxes of lived time with the exteriority of an implacable syllogism. That syllogism is what leads the living human to meet his death, a death whose image is his secret. But why that hypothesis? 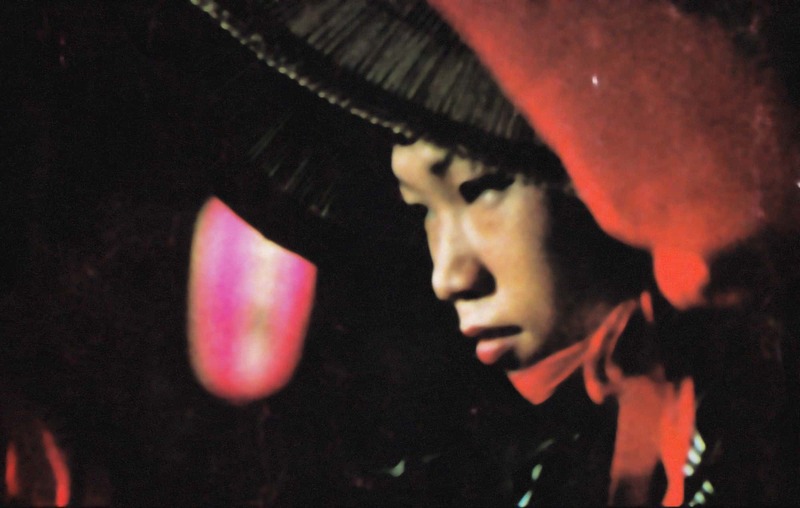 The originality of Chris Marker’s film obviously resides, as has been regularly demonstrated, in the work of the image itself: a framing of the most obscure zones of memory’s fragility and unpredictability; and a montage that replicates gaps in recollection. The image itself constitutes an unusual organization of storyline: Marker invents a type of narration that literature cannot often produce. Literature here appears only in the voice of the narrator-commentator: it borrows its script from the narrative mode of a Kafka. Beyond its novelistic argument, the film consists in something other than an autobiographical project whose shape it wants to trace. These intimate recollections, essentially tied to the return of the figure of a childhood love, can only be organized in a science-fictional scenario (the role of that obsessive image is also to denaturalize the fiction): such a scenario constitutes the expansion of the field where the subject of memory, of recollection, of relived affects, is put into an experimental situation. He is the milieu, the strictly individual and lonely guinea pig, of an experiment of which he is both the key and the secret. I want at least to remark the way this hypothesis works around a “novelistic” autobiographical project within the framework of a science-fictional scenario: the subject of memory is implicated as the place where time itself, in some strange way, gets used up. What constitutes the subject’s secret is always the image of a personal event, a mystery of his “self” that’s supported and guaranteed by recourse to recollections of a person he once loved. The science-fictional hypothesis contains precisely what one might call the non-Proustian aspect of recollections in the form of images: the real time of the experimental subject isn’t constituted in the kind of invisible images (syntheses of smells, sounds, forms, vague affects) that animate Proust’s writing and make all his pre-scription seem symbolic, but instead is made up of alien images that frame the subject. This experimental subject is trapped—as in a labyrinth—in the drama of memory whose whole experience consists in making something his own (in a certain way he dies within himself, by a reconciliation or a coincidence of time and images). The paradox of the experiment (extirpating the subject’s intimate images) is the construction of a fiction around the very act of memory: the subject (that is, the nameless hero) is obviously constituted only by those images through which he begins, or leads to term, a kind of transaction, or in the course of which these images become the equivalent of a piece of time–and time becomes the equivalent of the object of the experiment, having no other consistent representation except in those images that retain faces and affects (affects that in a certain way indifferentiate his objects: in other words, images of the “present” alone, images of the work of destruction, are alive, and fragile). Recurring images are in fact the raw material of temporal “synthesis”—a synthesis which is not quite of the order of truth (nor of verifiability–torture is endless and ineffectual unless it procures the confession of a secret). It’s that the subject (I don’t know whether to call him the hero or the narrator), confesses, articulates, discovers something that is the constitutive principle of his soul (and no philosophy stops us from imagining this as the producer of synthetic time, an excess). Also (beyond this demonstrable paradox that’s the proper object of autobiographical rather than novelistic writing), I’m well aware of the actual context for the hypothesis: that is, the invention of the machinery or the narrative motor that starts up the experiment through which the subject (at first believing himself to be constrained) discovers for himself this living object mortally trapped in a coil of time. That, for those of my generation, is the memory (an imperfect memory, but one that induces the greater part of our sensibility), the memory of or the kind of mnemonic damage caused by the war in our childhood: a primal consciousness of an era of planetary destruction which has lodged a soul within us, like a bullet or a piece of shrapnel that hit us and by chance reached a center where it could live on after having done no more than destroy a town or kill someone other than us. And yet this paradox (that is to say, this artifice) touches something very profound in us; you see it in Rousseau, in Proust: the frailty of the intimate object, or the frailty of the secret, cleaving the subject (the self) to this tenuous thing that we usually take to be a sign of our unique individuality (and no doubt it is such a sign): our justification and our licence for braving this waning of time (that is, the work itself) always come by way of an insignificant little ritournelle, a tiny machine that repeats our access to childhood. I can’t do a proper account or a real analysis of Chris Marker’s photo-novel. I can’t exactly decide whether it’s a film or the outline for a novel (trapped terribly in that tragic syllogism). The striking thing–or the impeccable thing, perhaps–is that the syllogism which defines this whole theatrical act defers the death of the hero for as long as he can speak, for as long as he can evoke the world of the living, can say his evening prayers: the syllogism of this tragedy is a scenario. That’s how I explain to myself–artificially–the material of this narration and the discontinuity in it that gives me the idea of an essentializing selection, exactly; the sketchy, fragmentary aspect of the evocation and of the narrative, the elaboration on pent-up time, rediscovering the characters alive in that antique “place” where images cohabit and commingle. Can this film possibly substitute for the writing of a novel? To whom to attribute the continuous voice accompanying the images? By whom is this adventure told? A witness, the depersonalized essence of the hero? An experimenter? Or someone who has absolute knowledge of time, death, and the paradoxes of memory? The narrator or commentator (whoever is describing the whole experiment and its length, and who possesses knowledge of the hero’s soul–of the subject of the experiment), the one who speaks in the film, he is not its author, but the author of the novel that the film blows apart, sketches out, jettisons, cuts, and whose substance it reworks. That substance is the secret: the secret that animates the novel’s unending quest for that lost face and produces the petrified image that makes the character disappear behind the reality of an experimental subject, this nameless hero who can’t survive the conflict of images–who can’t, that is, write it down. He himself is an image, precisely the thing that the novel disperses or can never stabilize. The almost constantly present face of the “hero” nonetheless makes me believe or understand that it is in fact the hero who’s speaking and that it is the novelist who comes to describe the world according to his subjective science. Knowledge in process (Condillac’s statue worked by way of its details in his memory: mortgaged by memory) is an image of the past (that is, something of the intimate consciousness of time). The girl is protected (the statues, the museum, her slumber) by time. She is the face of time and, above all, the very content of time (its secret, its truth). He, as the subject of time (she is his sovereign), becomes the agent of her quiet truth: the machinery of time puts the hero to death by the coincidence of two images. But what remains unexplained is how the past itself can be edited into a form: the form of the film itself; more exactly, how can a fiction of the past be edited into something that can represent the past for someone whose experimental life consists in being affected by a form of time as it reconstitutes the fragments of a disappeared world—fragments that make up the suspended life of this subject who is composed entirely by his suffering of time. Time isn’t a content, nor a frame; it’s no more than an affect, in that it is a consciousness that has become autonomous, become independent of the events that were once its form. Those events have opened up a whole world of sentiments, rather than actions. It would be absurd and not very useful here to try to demarcate the film’s objects, its degrees of reality or expressivity. Yet I feel that by attaching myself to the story I’m neglecting something. The story isn’t in fact quite equivalent to the narration, which is made up of particular narrative devices (images and their continuity, the montage techniques and editing that produce the continuity). Almost the opposite, the story itself, presented in narrative form, partly utilizes that form as a sort of ephemeral theater in which another part–the part that makes this story come alive for me – remains invisible and necessarily deprived of images. This same story (it could be written) without its science-fictional alibi (that is, without its luminous originality as well), where I search for that girl from my own childhood (my life can in a way be said to depend upon her, and yet, when any event from what we call the past is thrown into jeopardy…), this same “written” history will have to work with still another paradox: it is an investigation of faces that have become invisible. This film, however, is something other than that. The story (which, I tell myself, is what grips me most of all) is perhaps the alibi or the cause of the film’s organization and its material, in the same way as a face, a person, or a “type” are actually the cause of a portrait rather than its object. The extreme emotion of images fading to white, fading to black, constitutes a subvention of the film’s material or its narrative mode. The destructible image in the eclipsed world (being reduced to a surface, a shot), this jostled image—all its cuts, angles, and surprises–is for me strangely linked to the whispering sound of the German language (the film’s narrative is in French, but the protagonists who speak do so in German; they enunciate the phases of the experiment). Why does the whole secret of the experiment reside in the Murmeln, the Flüstern, so close to the heart of a remembered Lied that speaks falteringly from out of silence? It’s easy to imagine that for a long time the war and the experiments on bodies, where humanity becomes laboratory material, were a German thing; to imagine that psychoanalysis, science gone astray and applied in horrible conditions, yet remaining frighteningly human to the last (according to the admirable thinking of Robert Antelme), spoke in the voice of this German language, like the ghostly symptom of Romanticism’s sense of our species; and easy to imagine that, once it has interrogated Western culture, it begins its abysmal and violent descent to insinuate itself into the memory of its subjects. In this score, in the choir whispering this stifled Lied, I hear too the heavy dialogue of the devils from the second Faust; the young girl of the romantic stage is revived, the eternal mystery of survival to a mad or dead poet; the young girl of ancient Greece in Hegel, who represents both knowledge and the innocence of philosophy; or the woman whom Kierkegaard imagines to know already what Socrates does not. Romanticism has translated Dante so that Beatrice stands for the very insistence of death because death has become an amorous vocation, and the limits of the world have thus been redefined–and that same century was discovering negativity. So it’s from this hell–that is, the place from which, progressively, through jump cuts and flashbacks, memory’s event is drawn by the sweetness, the violence, and in any case the capture of recollection (from a time that resists elision because a part of the subject began to be born then)—it’s from this experimental terrain (this terrain which consists in a man navigating blindly, struggling along in a body alienated from its own images, in the film version of his unrecognizable life), it’s from here that the flower of pure love arises, the object of all of humanity’s nostalgia, the memory of a love becoming innocent in the image. We’re fascinated by the destruction of this image that we believe is an essence only because it’s so fragile and feeble in its characteristics, and because we believe that our very existence, so dependent upon this reality locked away in the past, is consistent with that image since, in the end, something of ourselves, our soul, or our secret (our intimate time), is affected by its fragility. We’re persuaded, equally, that this fiction of a time rolled up in time, preserving the old film of what we once were, we’re persuaded that this parenthetical time within time articulates or produces or proves the approach of an ancient death. All I see there is this: images of life sliding, being destroyed, and growing dark within the story that they give rise to. The beauty of this thought: that the experimental subject of memory lives on only in the experiment; he dies from it or can’t survive what it has awoken. Just as a face can’t survive the notion of resemblance that makes a portrait something other than an idea or something other than the representation of an absent person. A fidelity: sometimes fidelity to the game where someone sits for the painting. But sometimes it’s the fleeting fidelity to a destiny in which that game is but a ruse. Passages de l’image. Exhibition catalogue, Centres Georges Pompidou, Paris, 1990.